If a volcano erupts and there is no one there to see it, did it really erupt? Before the advent of satellites and seismic monitoring, volcanic eruptions in distant places would mostly go unnoticed unless they were absolutely extraordinary. 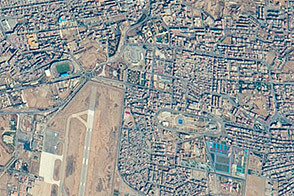 Today, scientists can pick up signatures of events occurring far from any human observers. 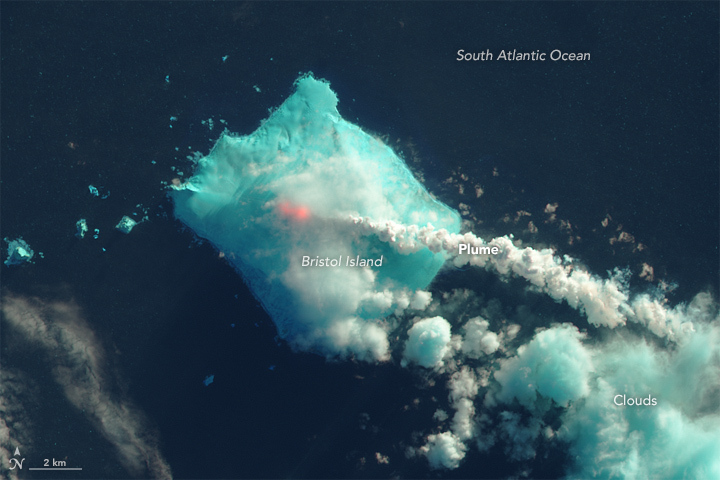 That was the case in late April and early May 2016 when satellite sensors detected signs of a volcanic eruption in the far South Atlantic Ocean between South America and Antarctica. 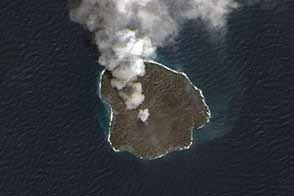 Mount Sourabaya, a stratovolcano on Bristol Island, appeared to be erupting for the first time in 60 years. There are no human residents of the island, which is almost always covered in glacial ice and snow. 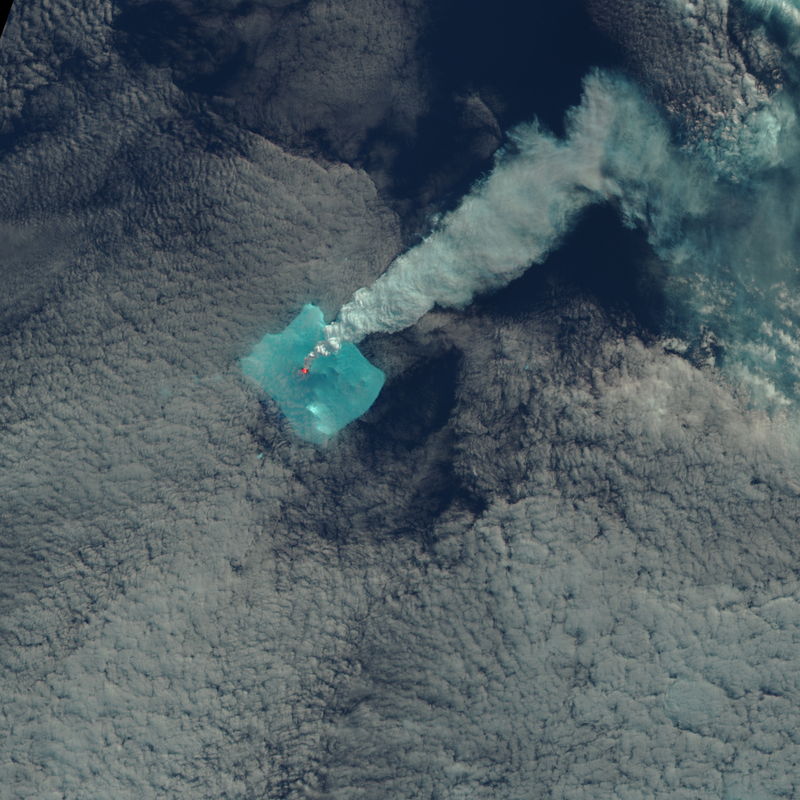 The Operational Land Imager (OLI) on the Landsat 8 satellite acquired these two false-color images on April 24 and May 1, 2016. 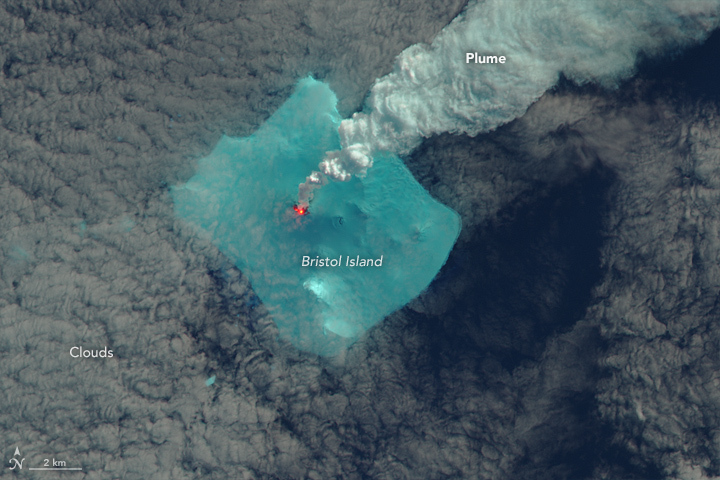 The images were built from a combination of shortwave-infrared, near-infrared, and red light (Landsat bands 6-5-4) that helps detect the heat signatures of an eruption. Both images show the heat signatures (red-orange) of what is likely hot lava, while white plumes trail away from the crater. 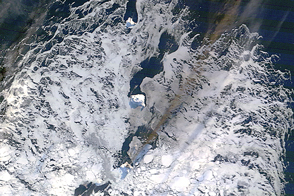 The band combination makes the ice cover of the island appear bright blue-green. 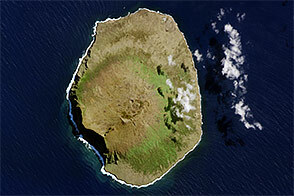 With a roughly rectangular shape that is 12 kilometers by 14 kilometers (7 by 8.5 miles), Bristol Island is one of the largest in the South Sandwich Islands chain. The highest peak on the island stands 1100 meters (3,609 feet) above sea level. Due to the remote location and the lack of landing sites amidst its ice cap, the stratovolcano is one of the least studied in the world. 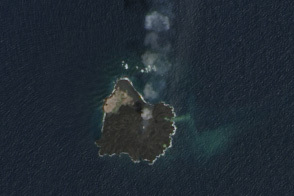 The last known eruption on Bristol Island was reported in 1956. 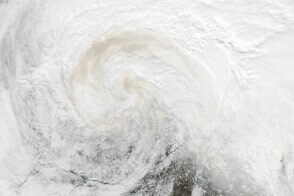 A volcano in the far South Atlantic appears to be erupting for the first time in 60 years. 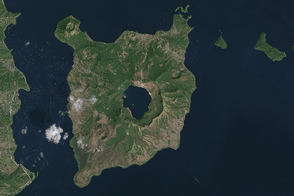 Culture Volcan (2016, May 3) Possible activité éruptive sur le volcan Bristol Island. Accessed May 9, 2016. Smithsonian Global Volcanism Program (2016) Bristol Volcano. Accessed May 9, 2016. 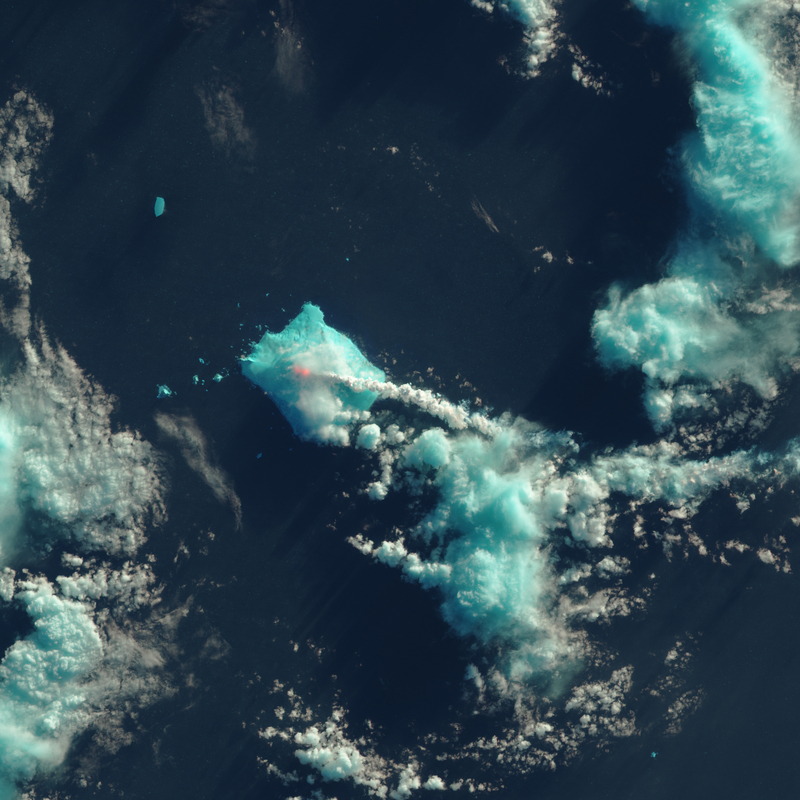 South Sandwich Islands Volcano Monitoring Blog (2016, May 2) Eruption on Bristol Island. Accessed May 9, 2016. Volcano Discovery (2016, May 4) Bristol Volcano: new eruption. Accessed May 9, 2016. Volcano Live (2016) Bristol Volcano. Accessed May 9, 2016.